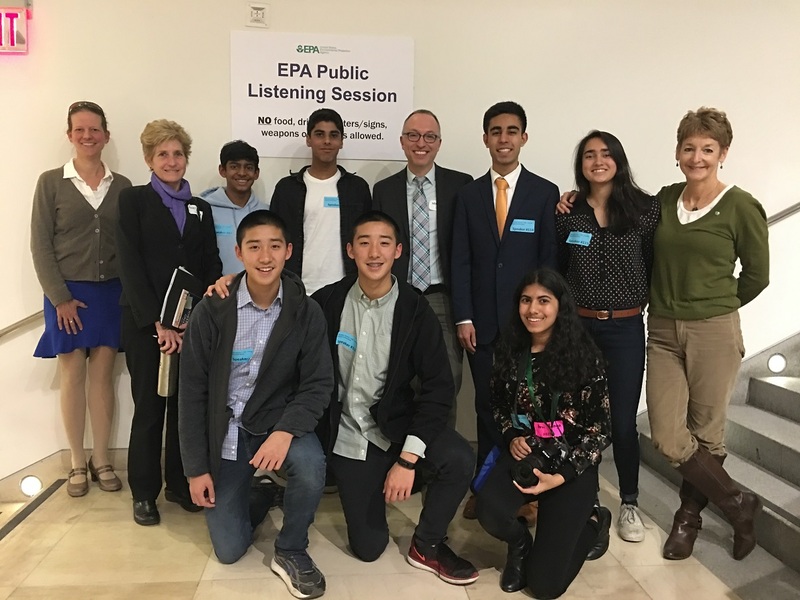 On Wednesday, a group of Harker students attended a special listening session held in San Francisco by the U.S. Environmental Protection Agency (EPA) regarding the proposed repeal of the Clean Power Plan. Last year, the EPA under the Trump administration began the process of ending the Obama-era policy meant to combat climate change. Accompanied by science teacher Kate Schafer and Spanish teacher Diana Moss, members of Harker’s Green committee – senior Satchi Thockchom, sophomores Jai Bahri, Anvi Banga, Avi Gulati, Alex Shing and Anthony Shing, and freshman Akshay Manglik – all voiced their opposition to the repeal. The concerns voiced by the students included declining air quality, higher occurrence of national disasters and a lower quality of life for future generations. In addition to giving students the opportunity to voice their concerns to government officials, the event also offered them new insight and perspective on climate change. “Not only did this event give students like us, who otherwise have next to no voice when it comes to national affairs, [a chance to speak] … but it also allowed us to hear personal stories of those directly affected by climate change,” said Bahri.